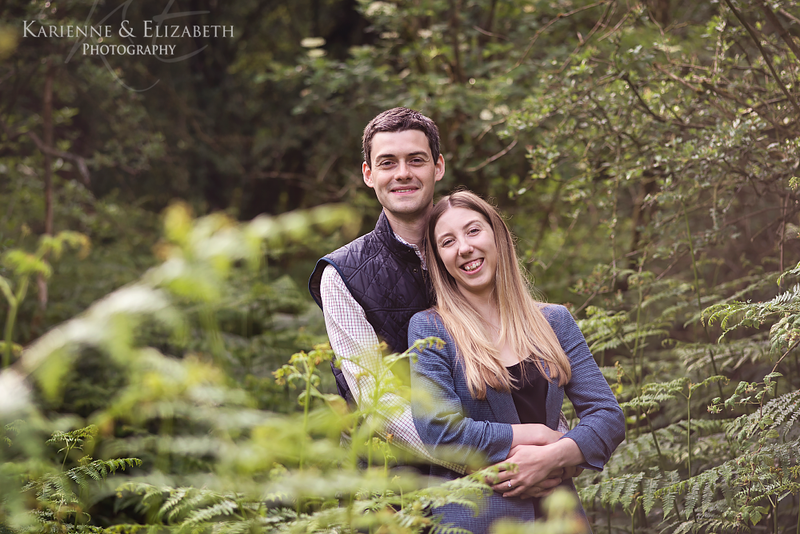 Liz and Curtis booked us for their Moddershall Oaks wedding taking place in Autumn this year. 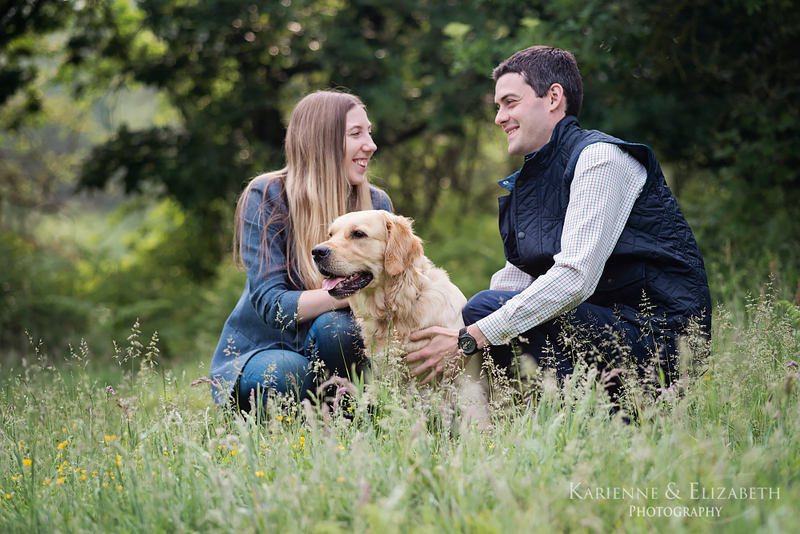 Recently, we arranged to meet for a chat, a dog walk and some pre-wedding photographs. 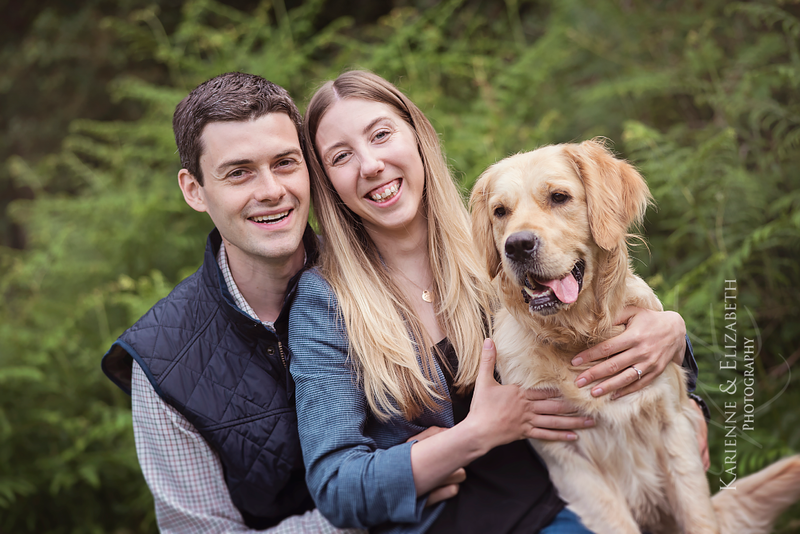 We met at the Downs Banks where Liz and Curtis regularly walk their beautiful golden retriever, Skye. After a chat about their day and what they had planned, we went for a walk. Skye absolutely loved every minute of it…the treats of course helped! 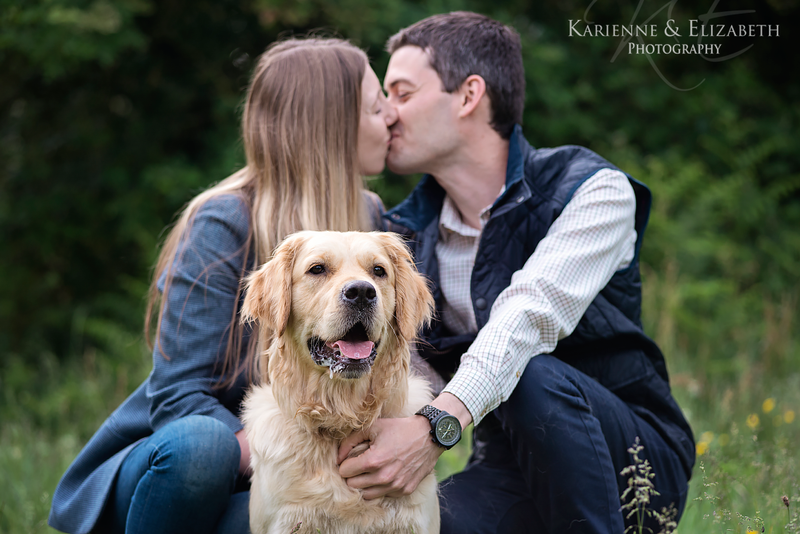 They say never work with children and animals but we adore these sessions 🙂 It can seem a bit manic at times but the photographs always come out amazing. (Even if we say so ourselves! :-)!. 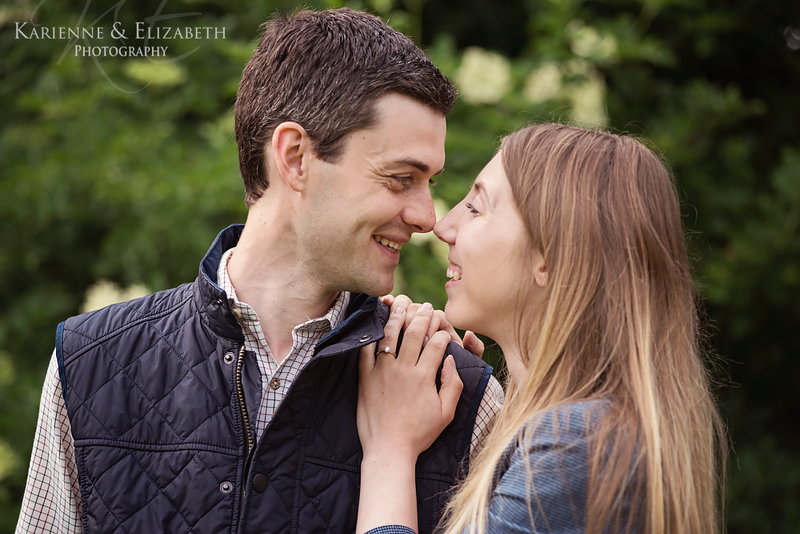 Engagement sessions are a great way to pause during all the madness of the wedding planning, and to take some time together to have a record made of this special time in your lives. 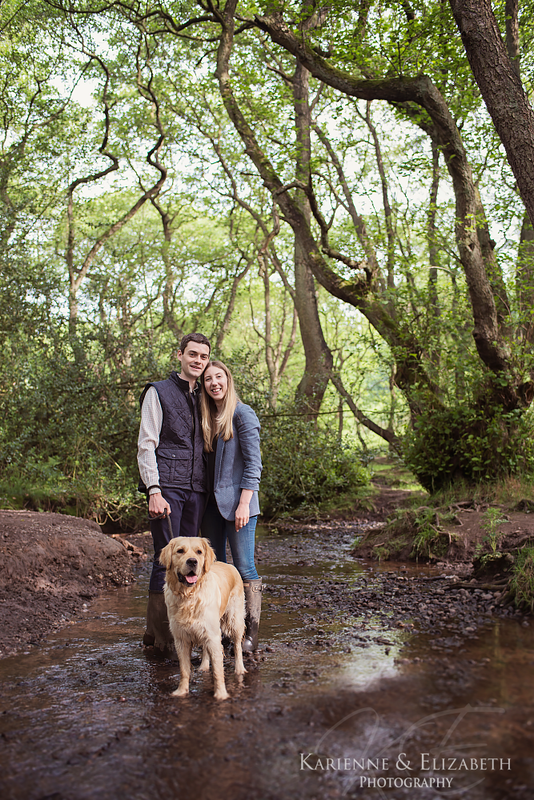 Our shoots take place mainly in the Staffordshire countryside. They are relaxed and fun, but we do like to explore new places and creative concepts. 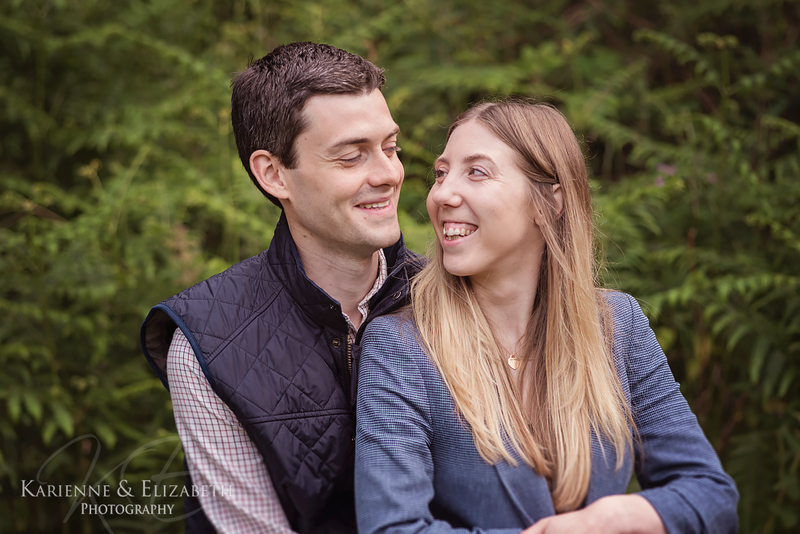 It’s nice to get to know our couples before the day, to be able to teach them some easy and natural posing tips, we want them to feel confident in front of the camera on their wedding day. 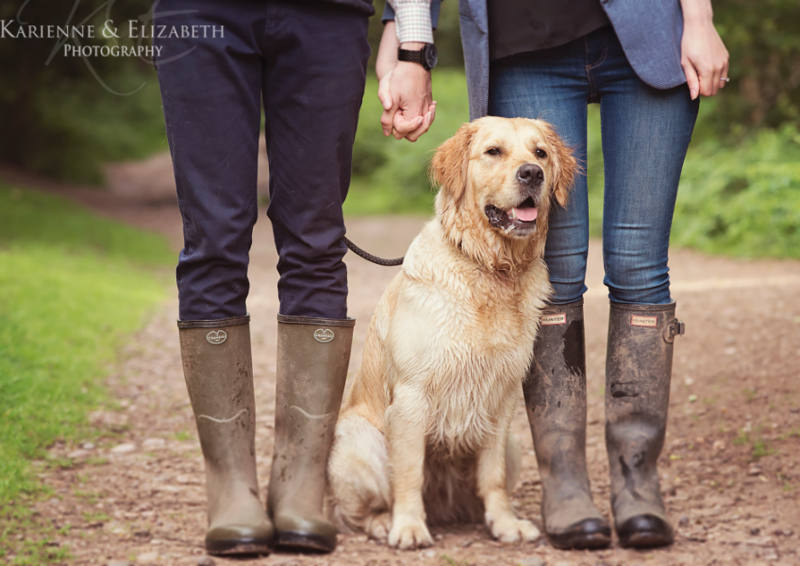 A Relaxed Dog Walk Engagement Session? 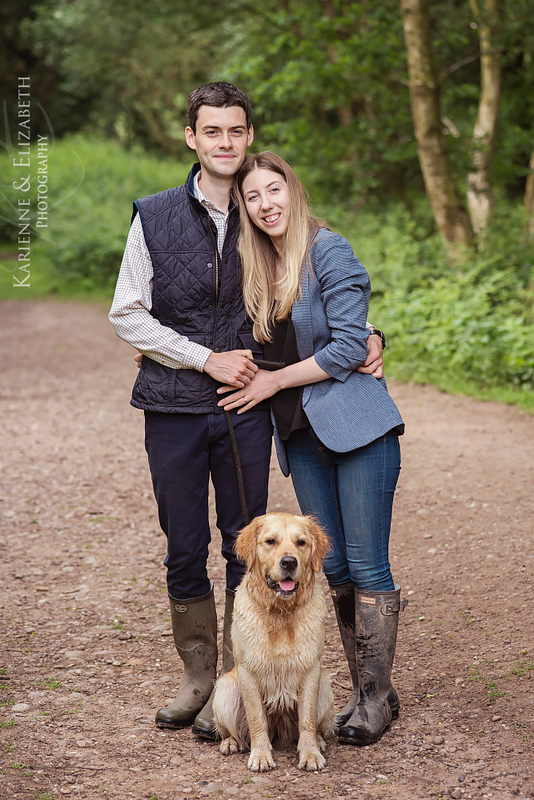 Allow around 90 minutes for your portrait session and bring some flat shoes too! (you’ll thank us afterwards). We’ll take a walk somewhere pretty and shoot photographs as we go. 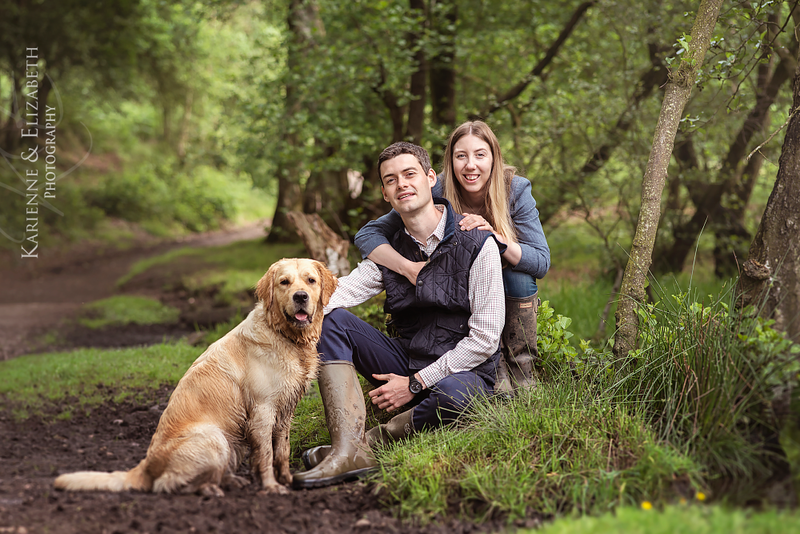 We are completely spoiled in the Staffordshire area for great spots to shoot the engagement photographs, with so many little public footpaths and woodland trails that make a lovely natural setting for your images. 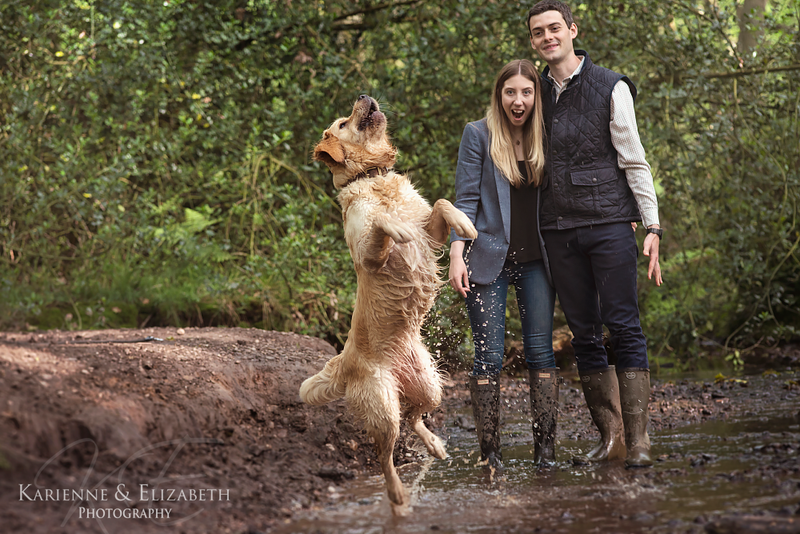 As with Liz and Curtis’s pictures below, we love it when couples want their cherished pet to be part of their wedding journey. So, feel free to bring your additional loved one(s!) 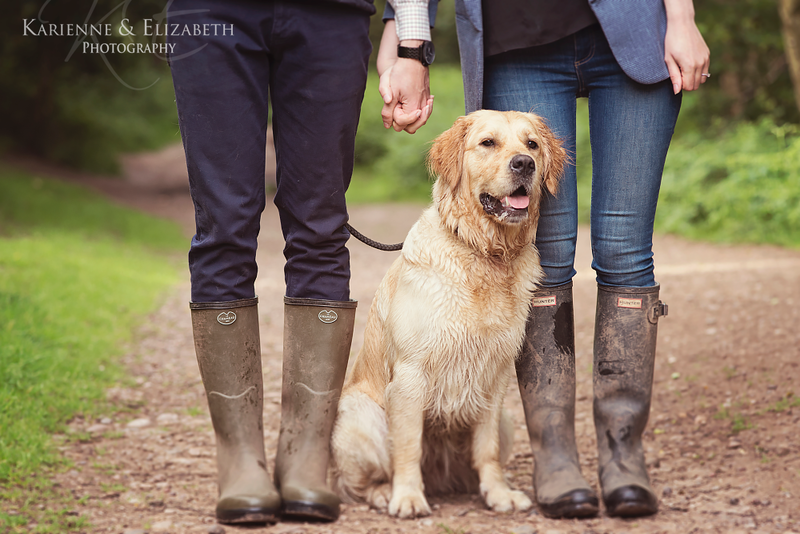 along to help create the cutest of engagement shoots. PS: Getting married in 2019? 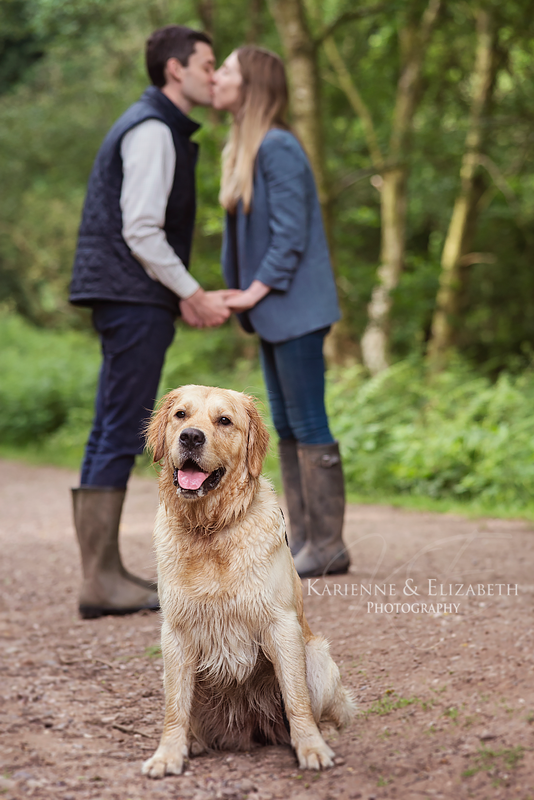 We have dates filling up quickly for 2019, so be quick if you have chosen one of the Summer wedding dates. If you’d like to see more of our work our Facebook Page is a great place to start. 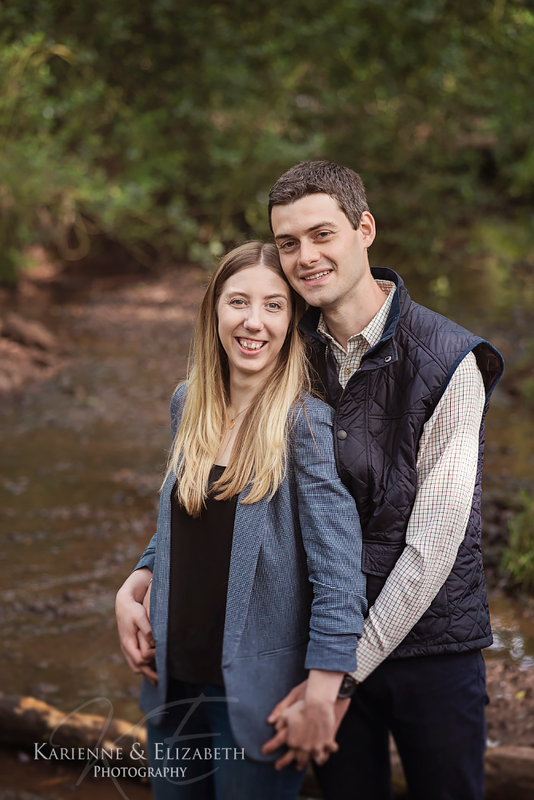 You can also get in touch with us by phone or email to meet us both to see our portfolio and sample albums.